Born near Tsukiji Fishmarket and grew up in a Tokyo's old temple town where we could see many Gisha ladies clad in beautiful Kimono. 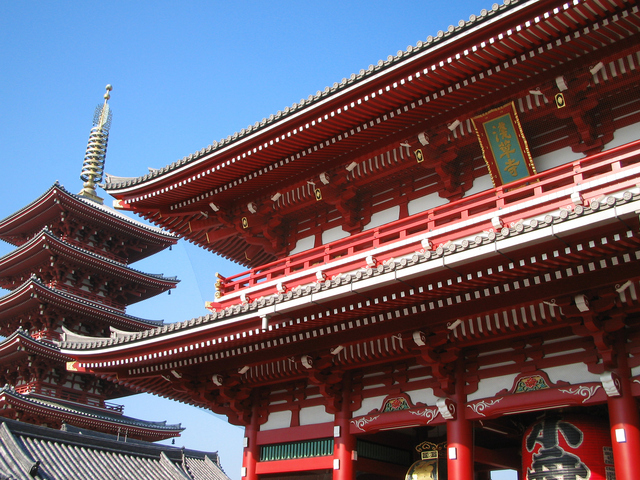 The nearby temple (Tsukiji Hongan-ji) was my favorite childhood playground. Learned the art of French cooking at Cordon Bleu, then mastered 'Maquillage' (Cosmetics and Beauty treatment) at Jean Destrees while staying in Paris for two years. Lived in Western Australia for another two years. Learned how to be a guide for wheelchair users at Japanese Red Cross and worked for wheelchair travellers from overseas as an English speaking volunteer guide. Love travelling!-Enjoyed backpacking trips around the world in my 20's and 30's. Love cats, dogs, horses, birds, almost all animals. In summer, frequently go to the beach for scuba and snorkeling. In winter, visit the nearby horseback riding club to struggle sitting on the horseback. Treasure traditional Japanese things and culture. Wearing kimono quite often, even though it is a bit tough to walk. Now really into Cat cafe and Bunny cafe. There are so much to see and do here in Tokyo. So, please be adventurous and energetic! Let's stroll through narrow sidestreets and backstreets of the old temple town. Give a try to some local specialties! I will show you downtown Tokyo as much as possible and I'll do my best to make your days one of the most unforgettable and satisfying ones in your life. Upon your request, I can be a guide in Kimono!